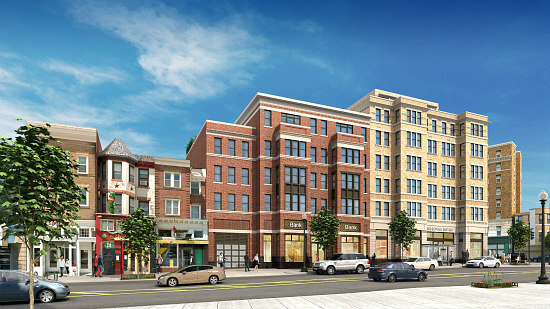 Following delivery of AdMo Heights (which replaced a Payless shoe store) and a portion of Modera Sedici (which replaced the former Italian Embassy on 16th Street), the Adams Morgan residential development pipeline has quieted down considerably. Here is UrbanTurf's updated look at what remains in the pipeline for this neighborhood. 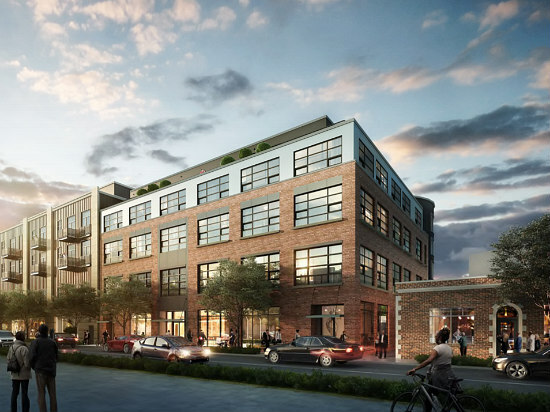 One of the neighborhood's most contentious developments on one of the neighborhood's most prominent sites, work is still on-hold to raze and replace the bank and plaza at 1800 Columbia Road NW (map) with a residential project. The under-appeal development from PN Hoffman and Potomac Investment Properties would consist of a six-story building with 52 condos above two or more commercial tenants, likely to include a cafe or restaurant with outdoor seating. The building would also have a roof deck, bike storage room and 32 below-grade parking spaces. Eric Colbert and Associates is the architect. 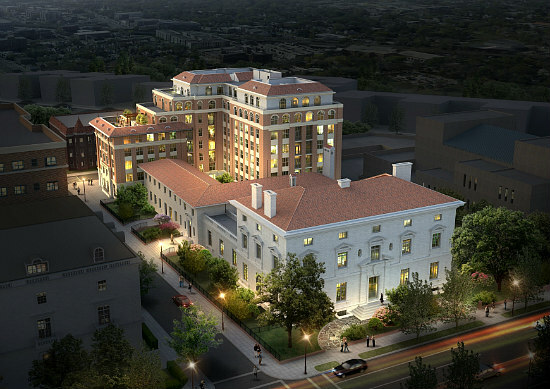 The residences retrofit into the neo-renaissance former Italian Embassy at 2700 16th Street NW (map) have begun delivering as construction continues on nine stories of adjacent new construction. In total, the Mill Creek Residential development will deliver 135 studios-to-three-bedrooms above two levels of below-grade parking. 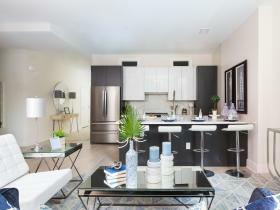 While leasing has already begun, the project is expected to be completed in the third quarter of the year. Raze permits have been filed and work is expected to begin soon on a residential extension to the rear of the Scottish Rite Center, putting expected delivery in 2021. 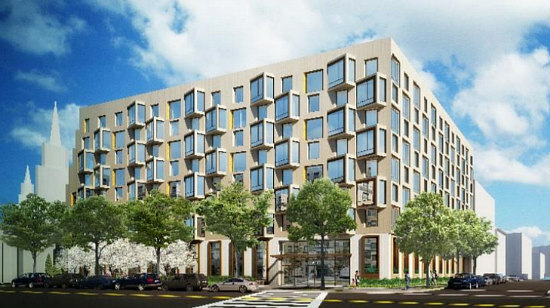 Eastbanc partnered with the center and Mitsui Fudosan to construct a 10-story building with 176 residential units on the surface parking lot at 1630 Columbia Road NW (map). The building will also have an above-grade connection to the Center and 75-80 parking spaces across two below-grade parking levels. Grimshaw Architects is the architect. Jubilee Housing received Board of Zoning Adjustment approval in December to convert the vacant Transcentury Building at 1724 Kalorama Road NW (map) into 25 affordable units with office and community arts space. Designed by PGN Architects, the project will accommodate a ground-floor expansion of the Sitar Arts Center from the the condo building next door, as well as penthouse office space for Jubilee. Two-thirds of the 25 units will be for households earning up to 30 percent of median family income (MFI), while the remainder will be for households earning up to 60 percent MFI.